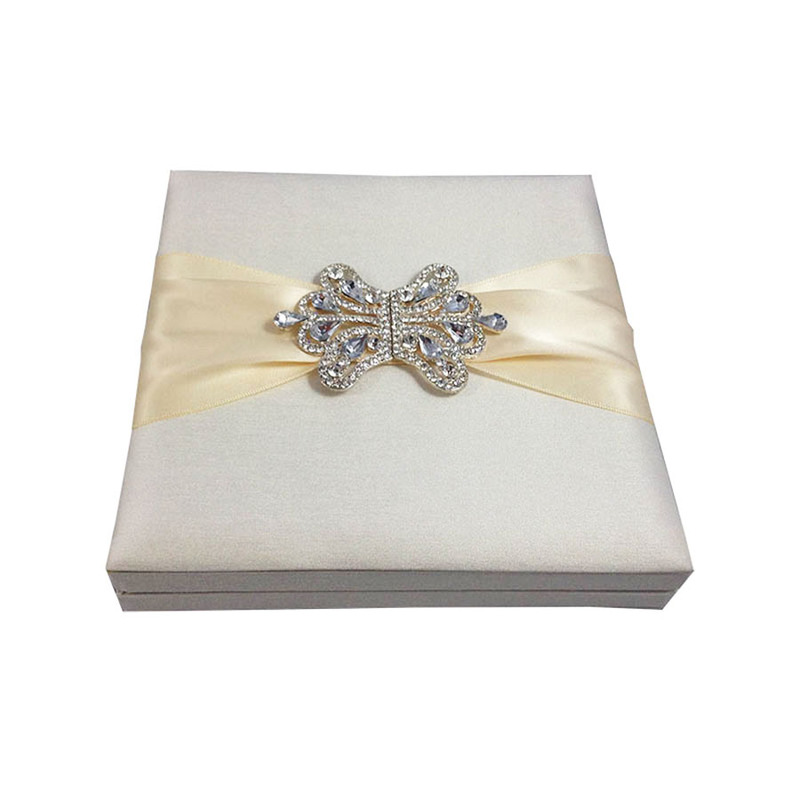 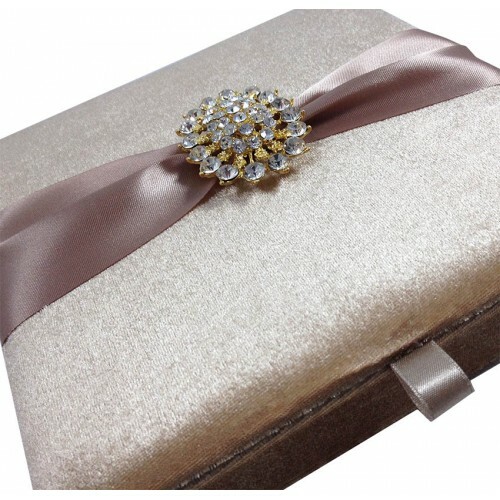 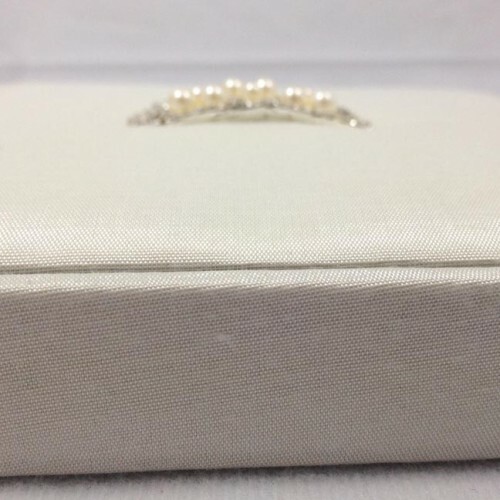 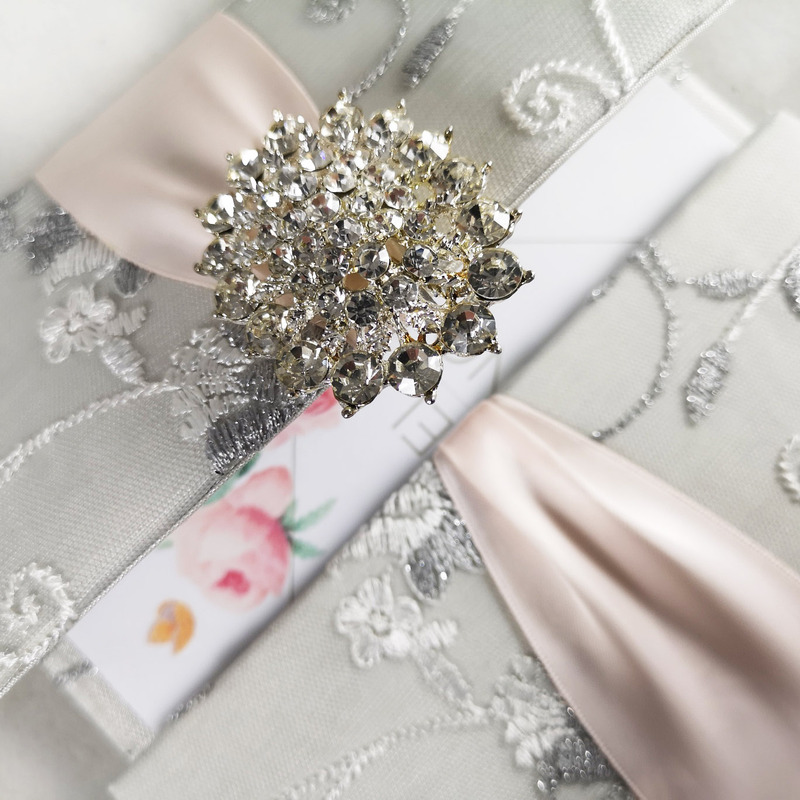 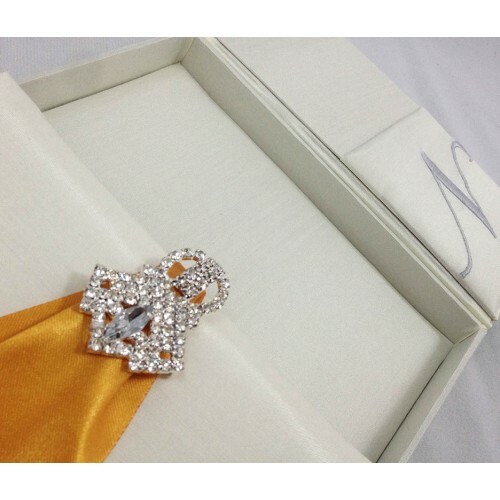 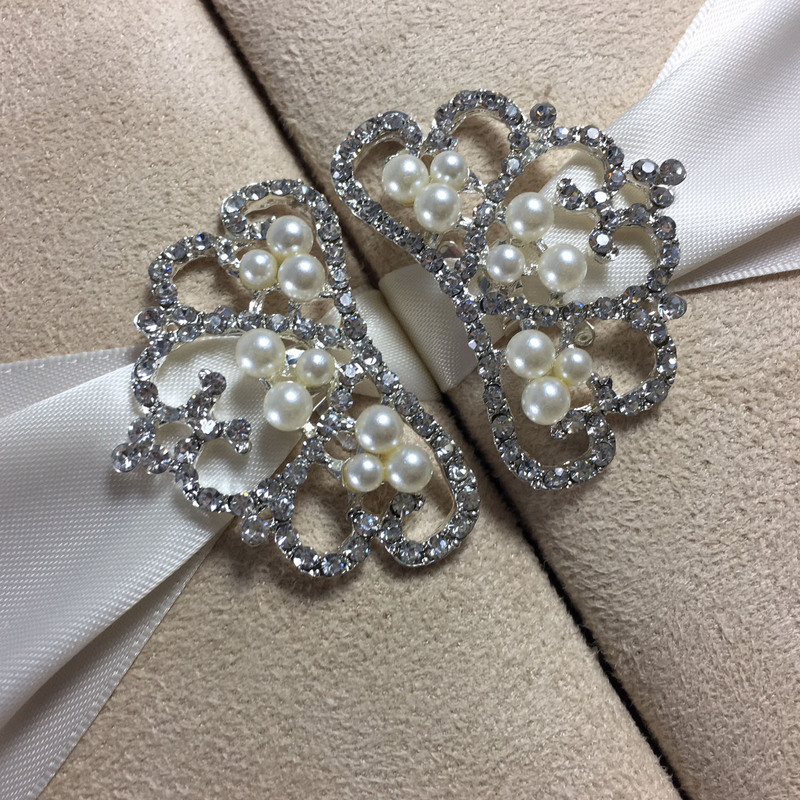 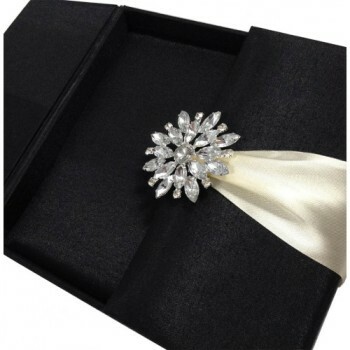 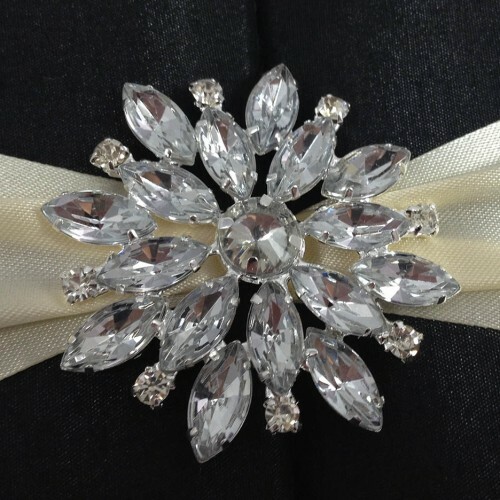 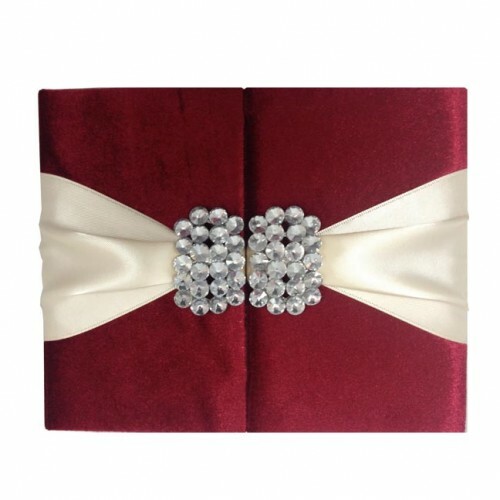 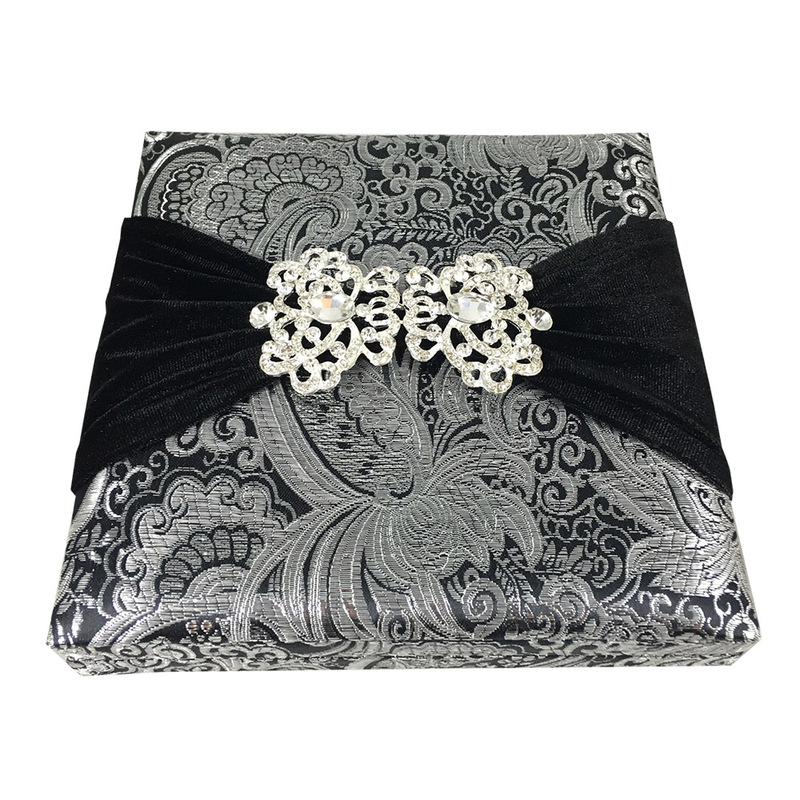 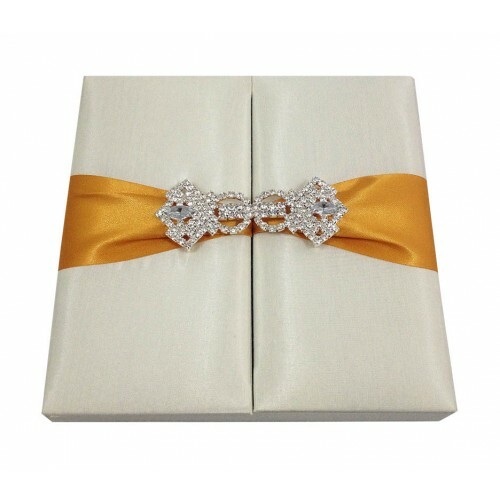 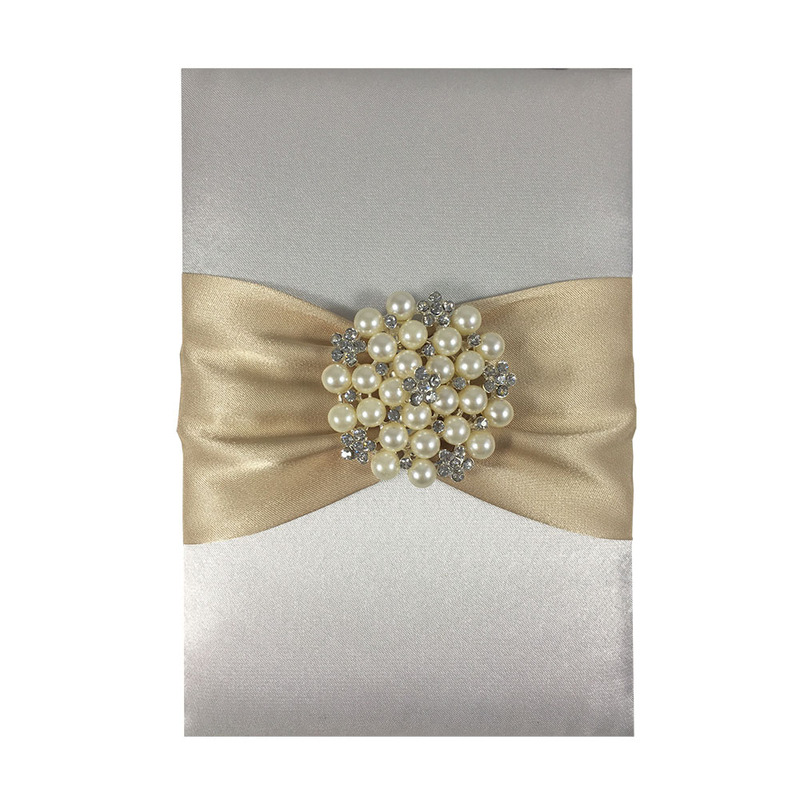 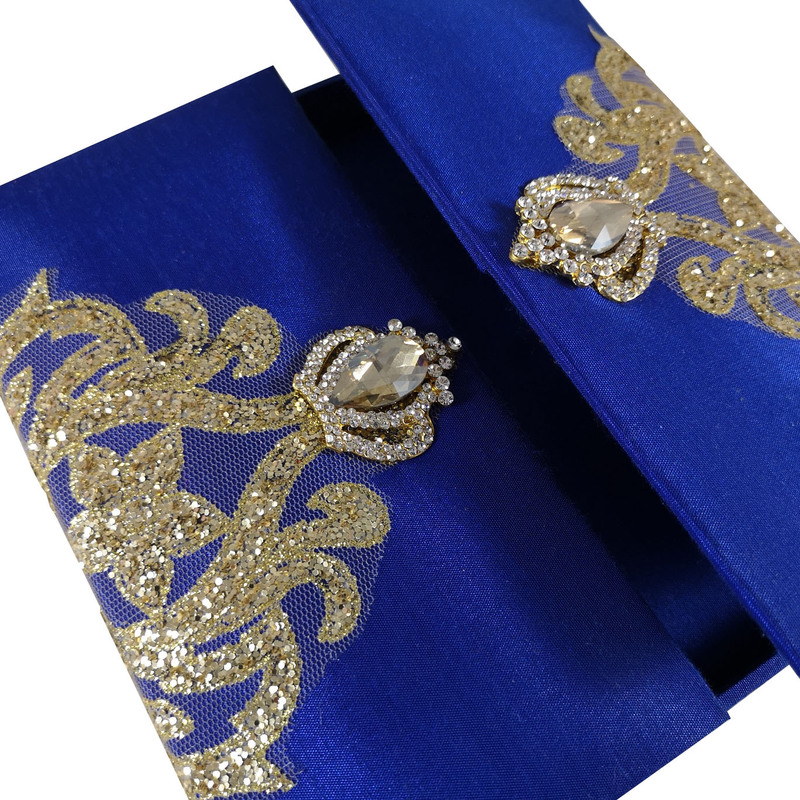 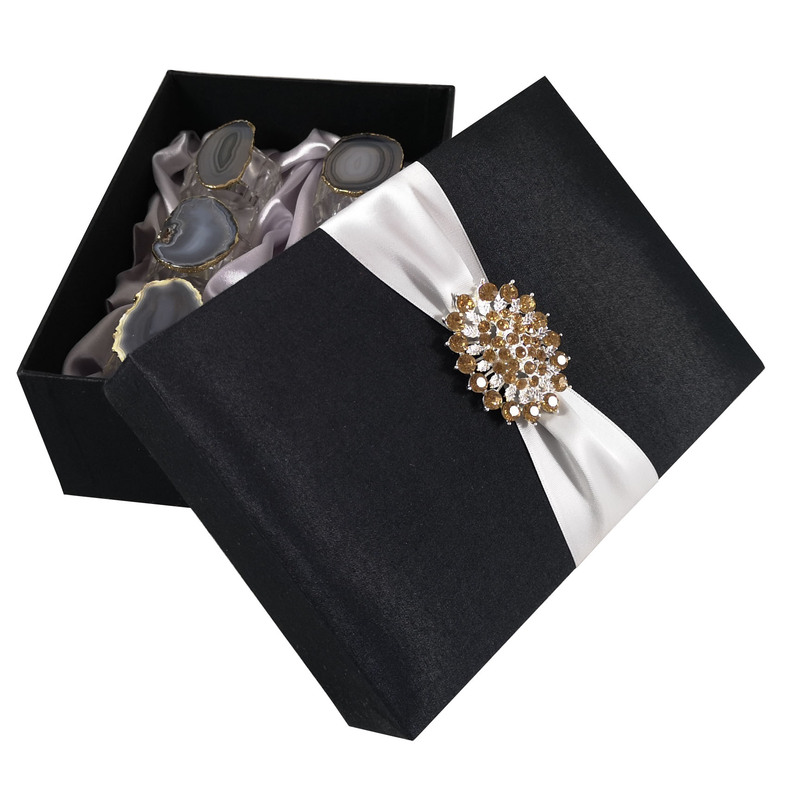 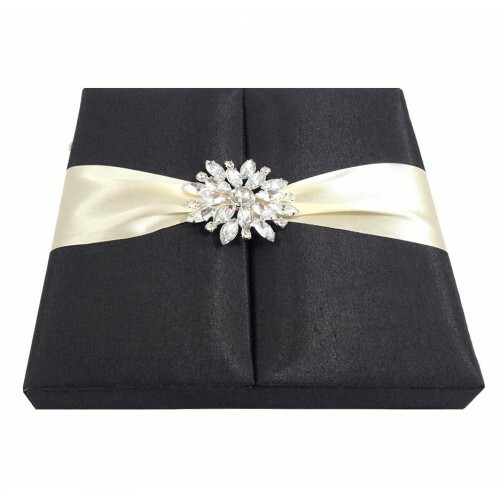 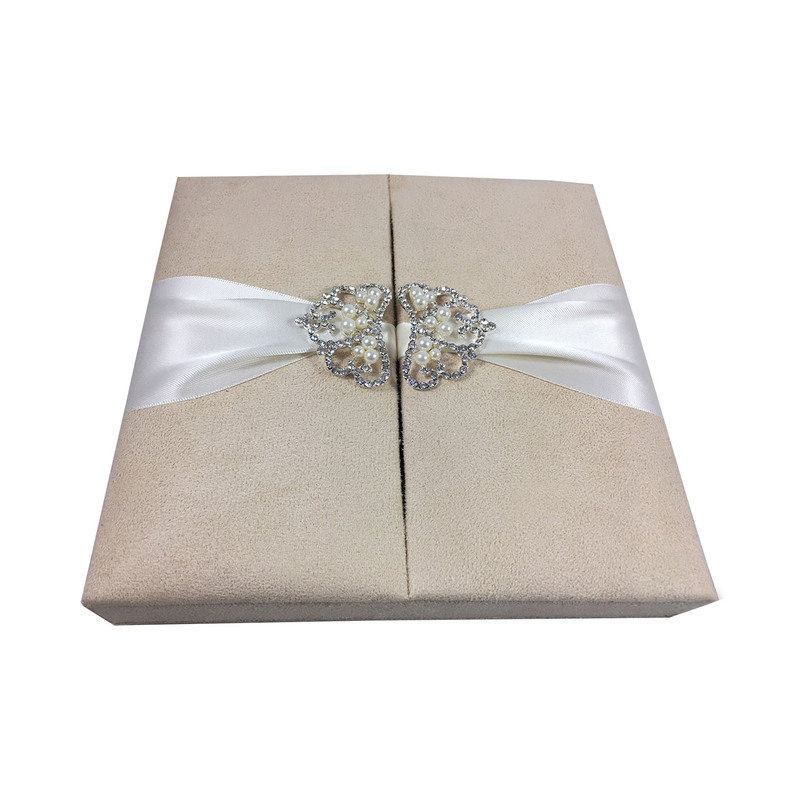 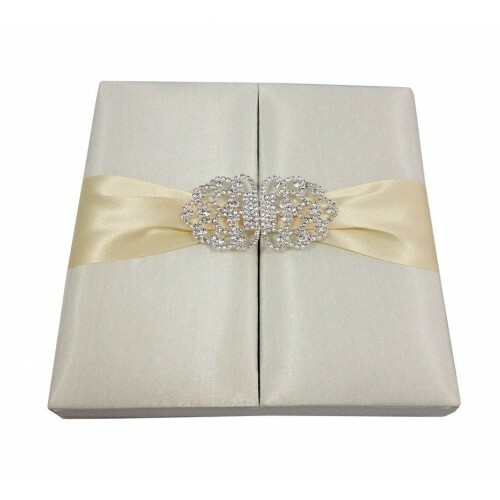 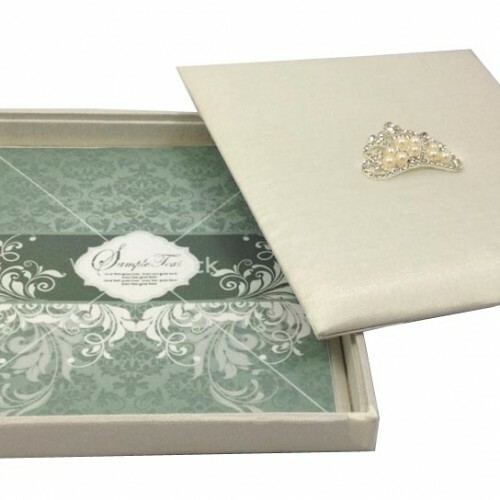 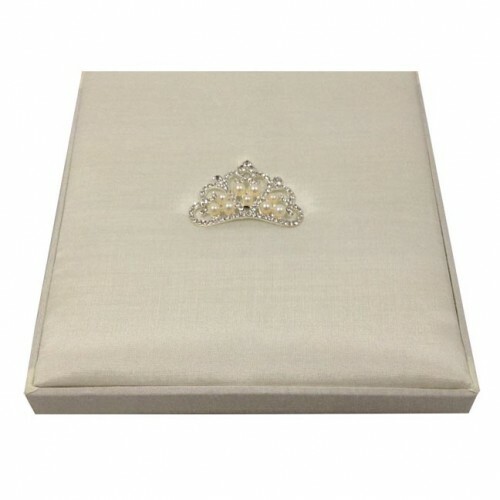 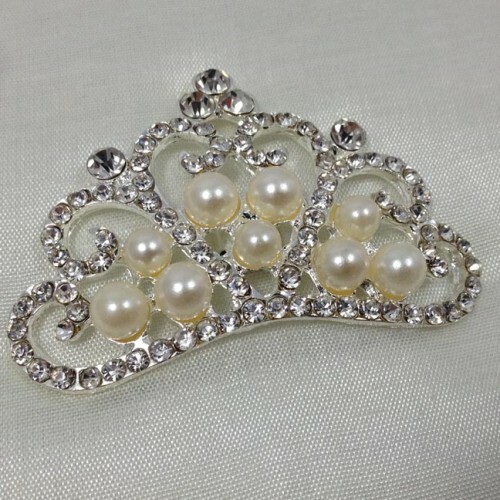 Square shaped gatefold invitation box, laminated with suede fabric, embellished with pearl crown pair brooch and double faced satin ribbon. 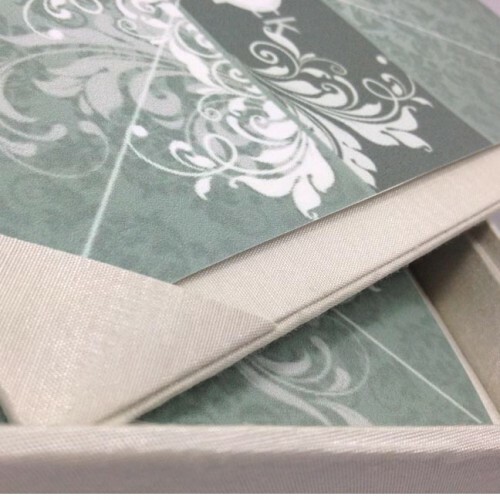 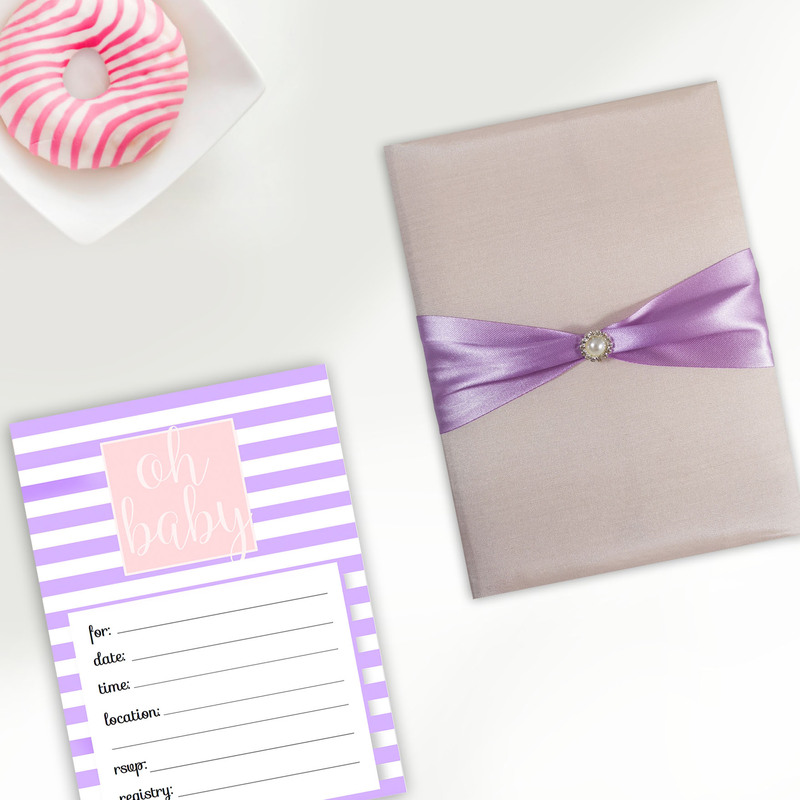 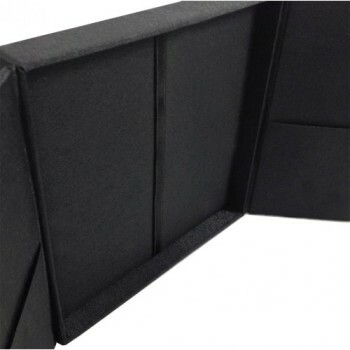 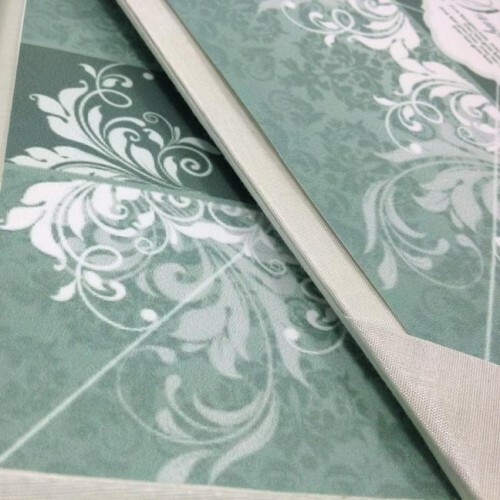 Padded interior and exterior with pockets behind the doors inside and corner holder for main invitation card. 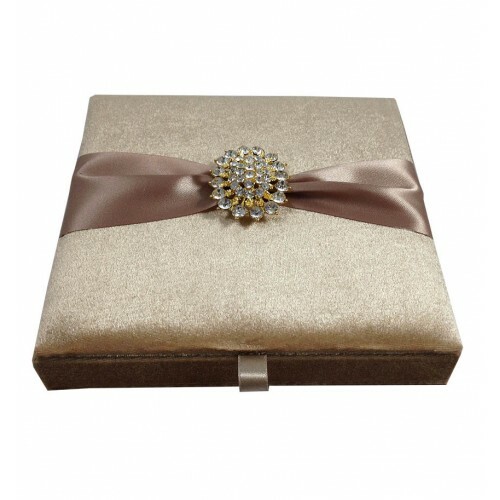 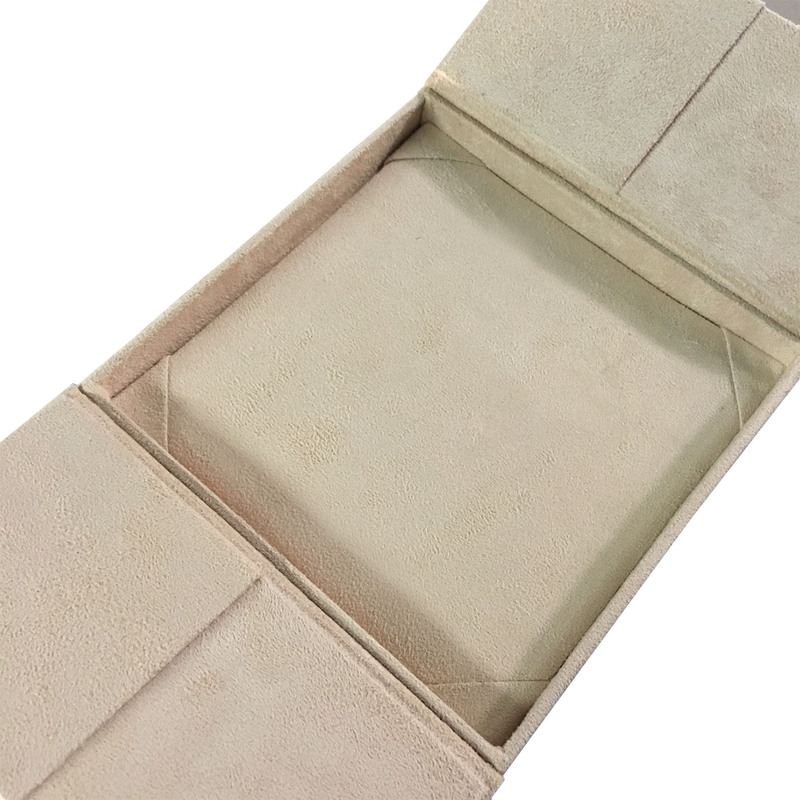 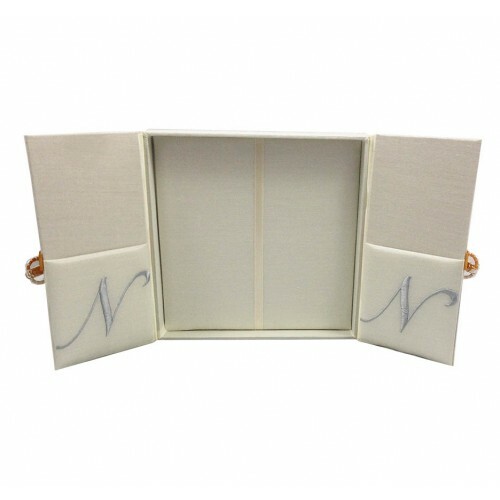 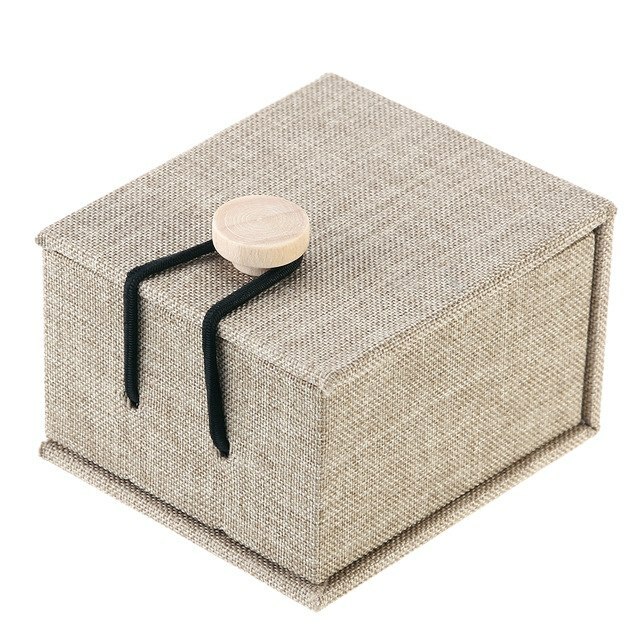 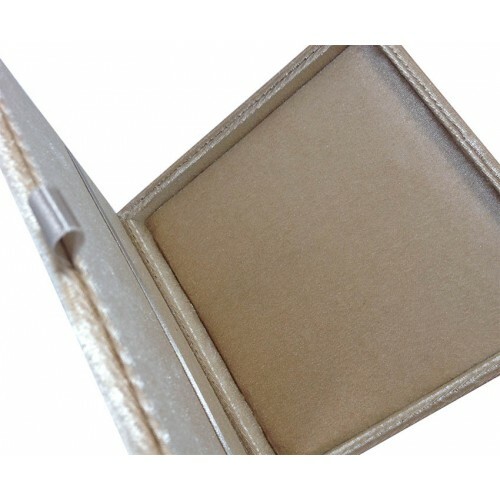 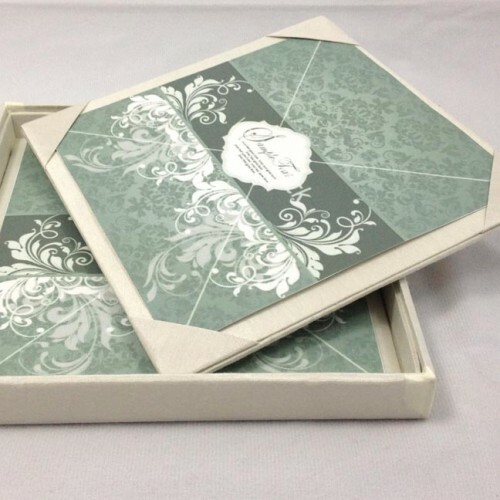 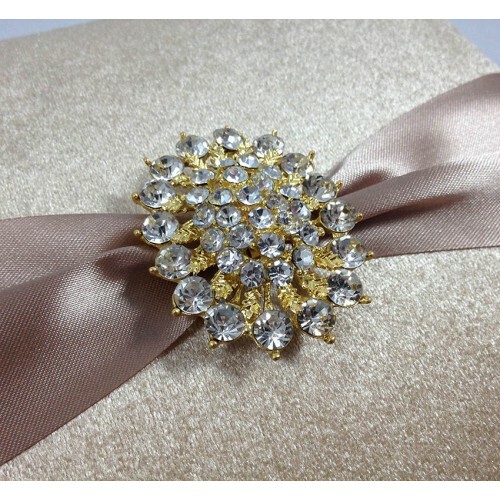 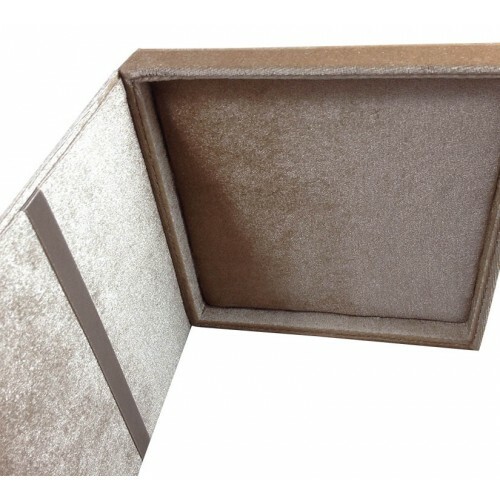 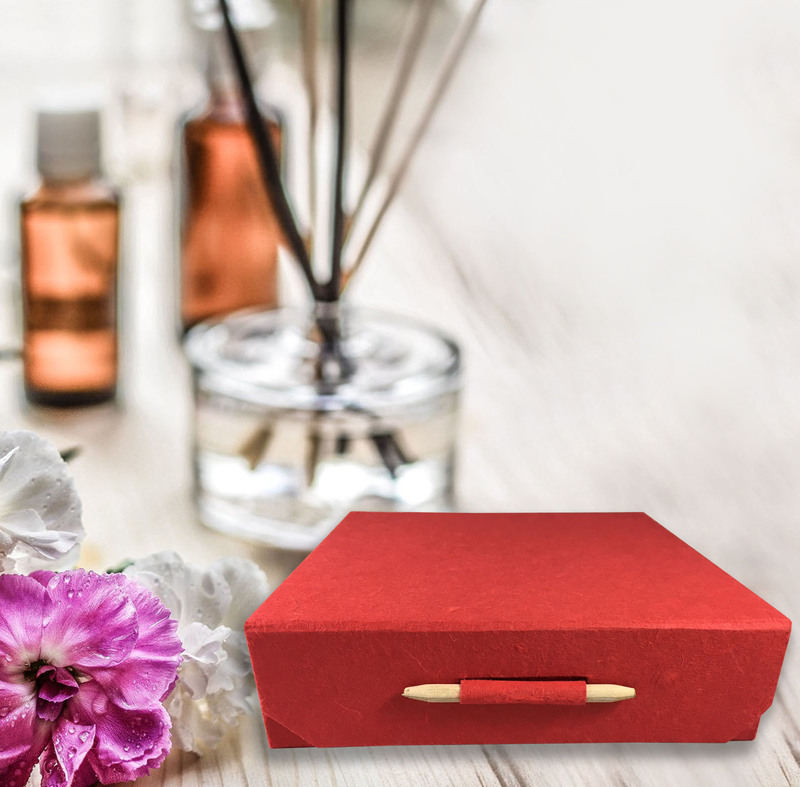 High quality suede invitation box design by Dennis Wisser available for wholesale and retail.